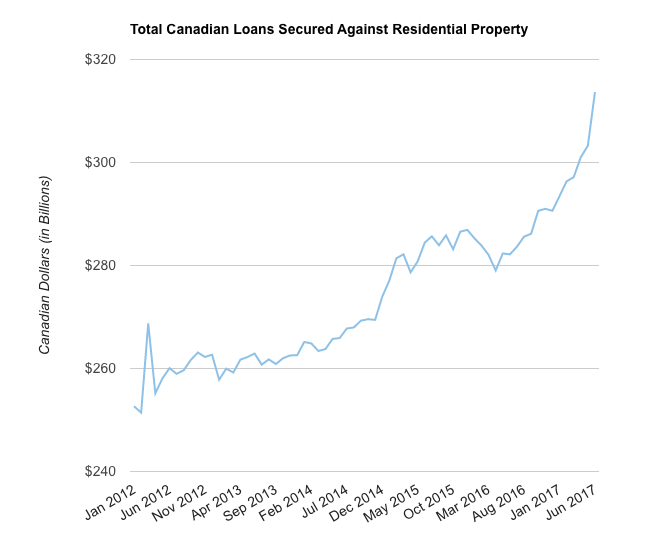 Our good friends over at Better Dwelling are reporting that Canadians Are Borrowing Against Real Estate At The Fastest Pace Ever. According to the report, which sites recent data from OSFI (Office of the Super Intendant of Financial Institutions), nearly $314 billion dollars was used against Real Estate to secure loans. This was good for an 11% increase year over year. Perhaps even more concerning was of the total $314 Billion, the vast majority of it was used for non- business related reasons. As of June 2017, $266 Billion was used to basically fund fancy new cars, boats, renovations and various other unproductive things. This is a 4.9% increase from the same month last year, or a $12.49 billion increase. This follows a concerning trend where homes are being used as ATM machines. 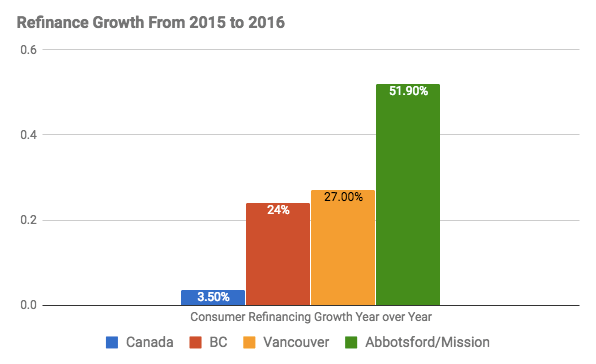 As I wrote recently, Vancouver homeowner refinancing is up 27% year over year, and a whopping 49% increase in Abbotsford & Mission. This follows a similar phenomenon where low credit-score homeowners in the United States between 2002-2006 borrowed an average of $0.40 for every $1 increase in home equity value. Which was rarely used to pay down existing debts.